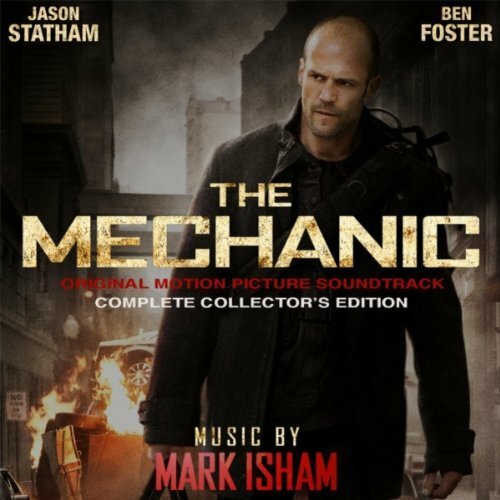 Mark Isham’s score for The Mechanic is a hard-hitting action score suffused with the iconic melodies that have become the trademark sonic signature of Mr. Isham’s work. The tracks move effortlessly from “face blasting energy” to deeply emotional nuanced soundscapes. The result is a superb blend of modern electronic aggression and a beautiful orchestral palette. 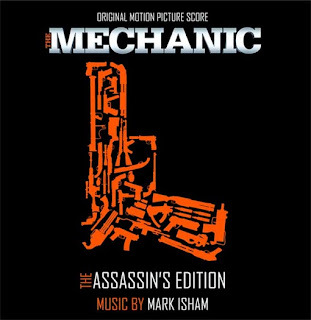 Mr. Isham recorded the Prague National Symphony, and recorded in Dvorak Hall in order to capture the full sonic grandeur of the work. what is the name of the classic music(strings) he playes on the L.P.
Antonis, I don’t know the exact song, but I do know the Artist. Its Ali Farka Toure…he has a very distinctive voice and guitar style. Personally I would love to know the name of the song where Steve is freaking out in his house shooting stuff with headphones on ect. Steve shoots up his father’s house, aiming at numerous bottles of liquor. What song is playing during this scene?!?! What is the name of the song that the woman in the red dress is singing at the bar? I need artist and title of the LP he plays, the one where he wipes the record before he plays it? Many thanks to Andrew Goodrich fof your usefull answer. What’s the song that plays in the trailer after 1.30? I haven’t seen the movie so can’t tell which scene it might be from. …Personally I would love to know the name of the song where Steve is freaking out in his house shooting stuff with headphones on ect. Could anyone help us out with identifying this song? U guys know a lot! when Steve takes that girl up the alley en ****’s her, the girl that said, i wish someone would hurt me like that, well in that scene a kind a rock music plays, but thereafter, you’ll see stevie walking down a busy street with RAP music, which song is that, the rap one? please help, it would be much appreciated! Deta312: Thank you, really appreciate that help. Many thanks to Andrew Goodrich for his very helpful comment which contained all the songs I was looking for. Anyone looking for a song? I suggest you check his post. Hi anyone knows the song right before Steve shoots the pump nozzle at the petrol station? Thanks.